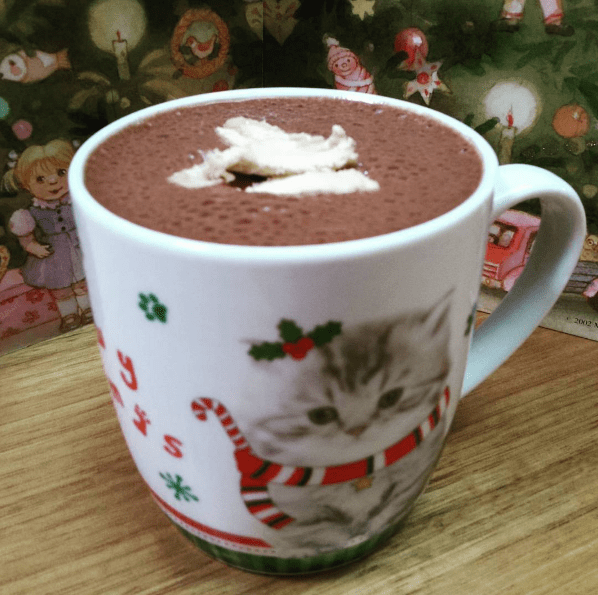 We asked you to share your posts on the theme of hot cocoa in December, and this is what you gave us! 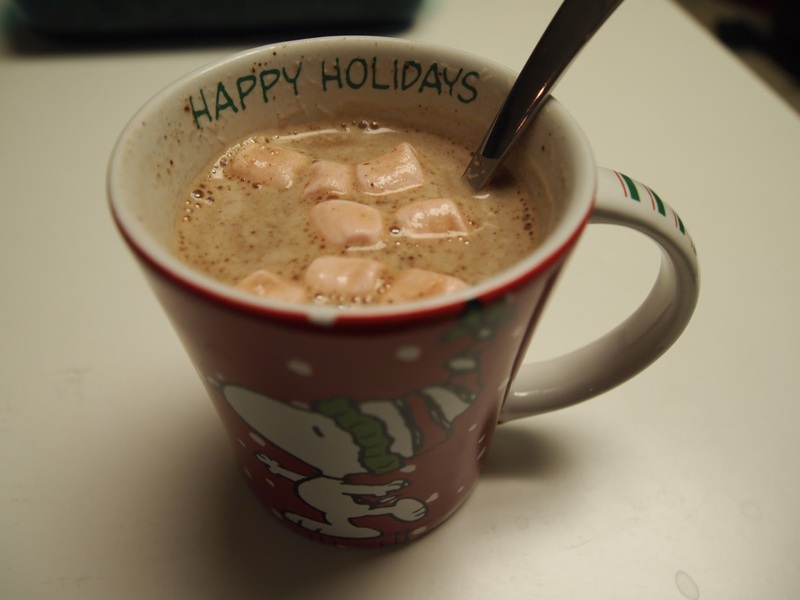 Perfect mug, perfect drink, perfect marshmallows: they are pumpkin and candy cane flavoured! Top tip from Odile: top your hot cocoa with some leftovers from your latest aquafaba meringue mixture. 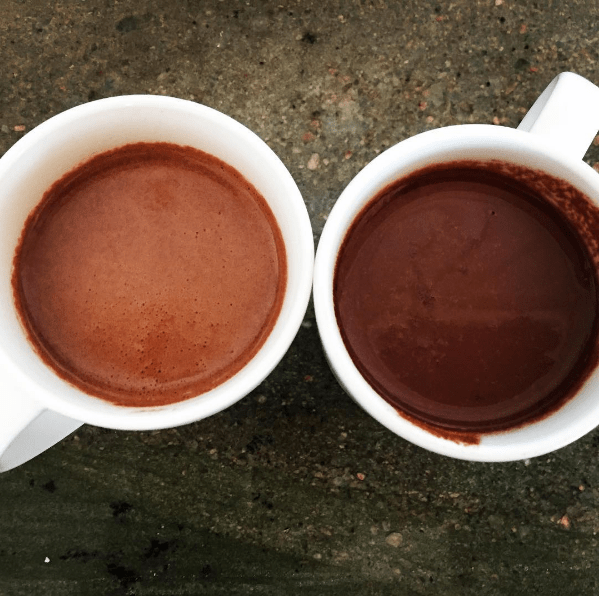 Hot cocoa two ways: we know Lisa is serious about making delicious vegan treats! They’re both made with homemade macadamia nut milk. Yes, please! 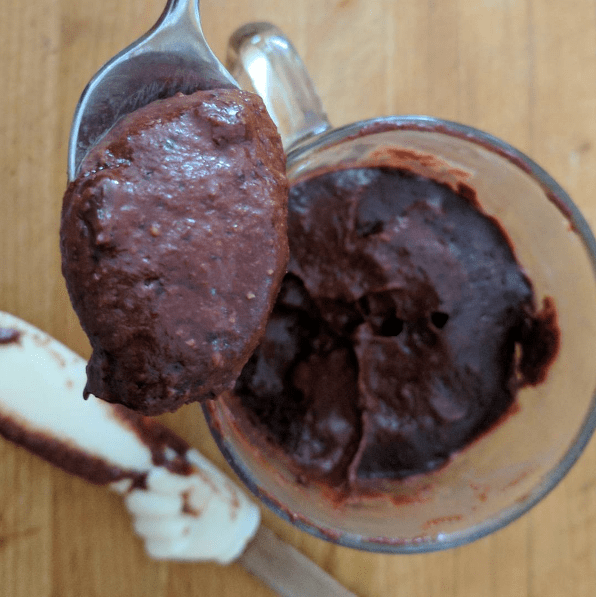 Dandies make another appearance on Julie’s blog, making her homemade peanut butter cocoa mix even fancier! And look, another great mug! 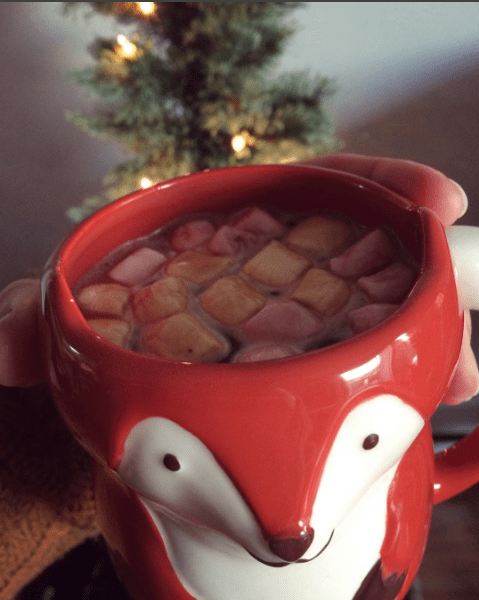 What I wouldn’t do to wrap my hands around one of these giant mugs of cocoa on a wintry day! 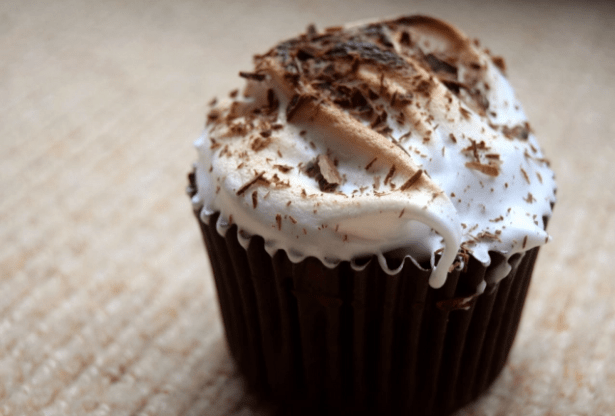 Emma has transformed the traditional hot cocoa and marshmallows into cupcake form. What could be better?! 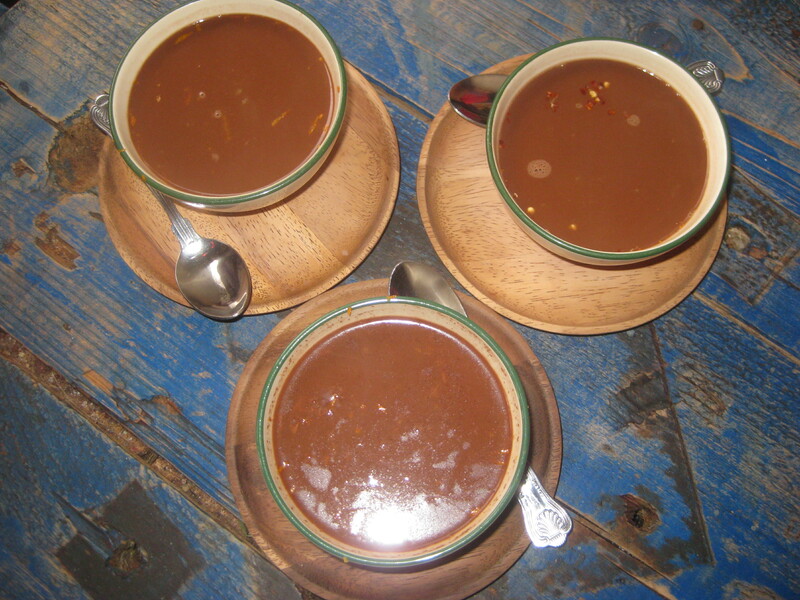 The recipe for the cakes includes chocolate milk, cocoa and melted chocolate. This sounds like something we all need to get on board with! Veganista Mama made the 5 minute hot cocoa from Minimalist Baker, topped with coconut whip and a mini candy cane for flavour. Yum! Ginger-choc-chip loaf and choc-chia pudding on the side, optional. 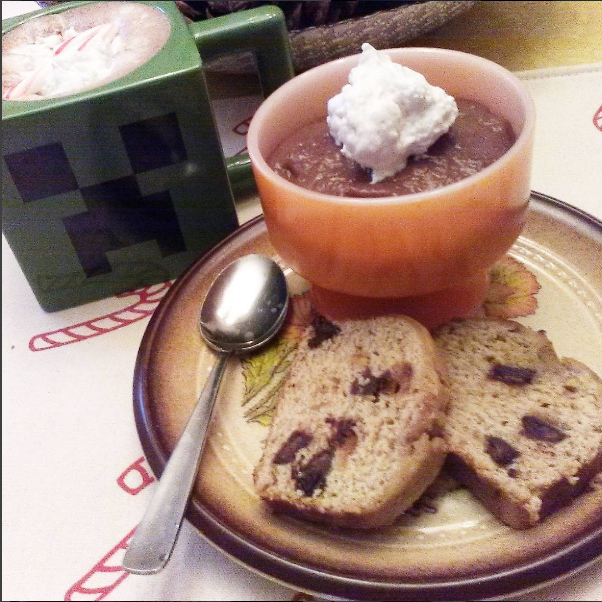 Garrick treats us to a breakfast take on hot cocoa: chocolate peppermint rice porridge with coconut whipped cream and a chocolate spoon. That’s the way to start the day! And sticking with the breakfast theme, feast your eyes on this! 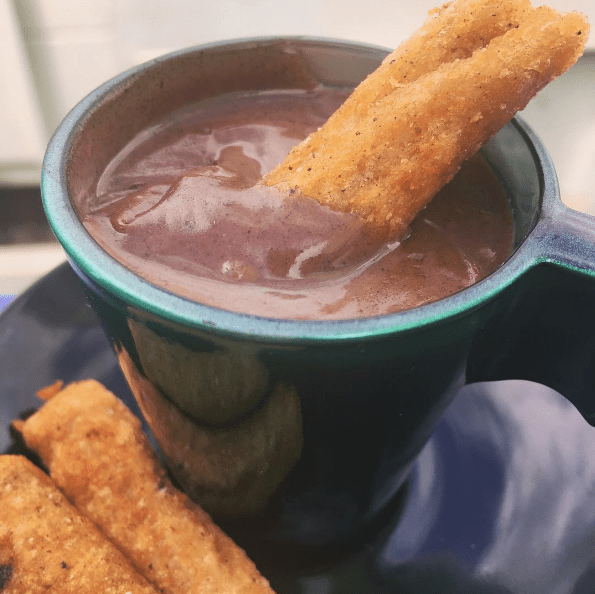 Churros with a thick, rich pot of hot chocolate for dunking. 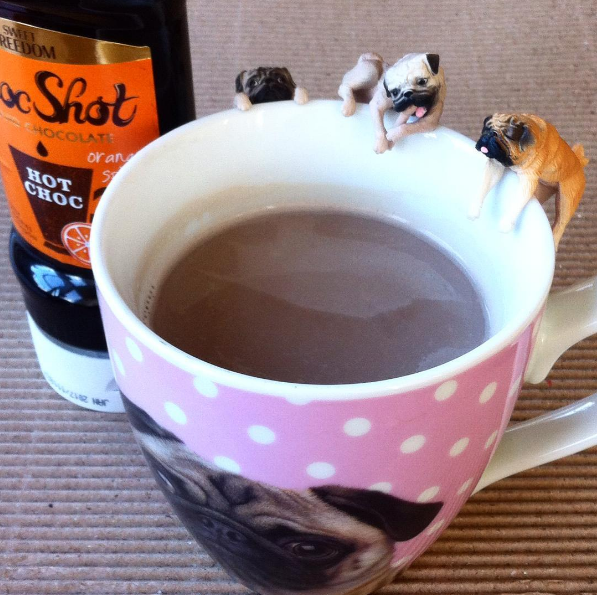 Rosie treats us to this chocolate orange hot chocolate, with lots of cute pugs thrown in for good measure! And getting back to cake: Nicole’s Instagram is the place to be if you enjoy looking at delicious food while your stomach grumbles. 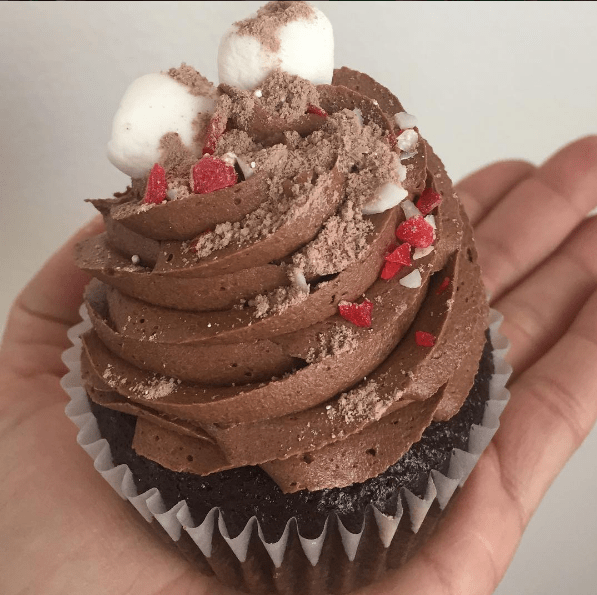 She has a lot of tempting baked goods on there, and she certainly didn’t disappoint with this beautiful cupcake, which is chocolate cake, marshmallow buttercream filling, chocolate buttercream on top, plus mini marshmallows, crushed candy canes and hot cocoa mix. Delicious! Susan is in the southern hemisphere, so this drink is far cooler than it appears! She’s made Minimalist Baker’s chocolate super powered shake, with a helping of cashew ice cream. It still looks so festive! 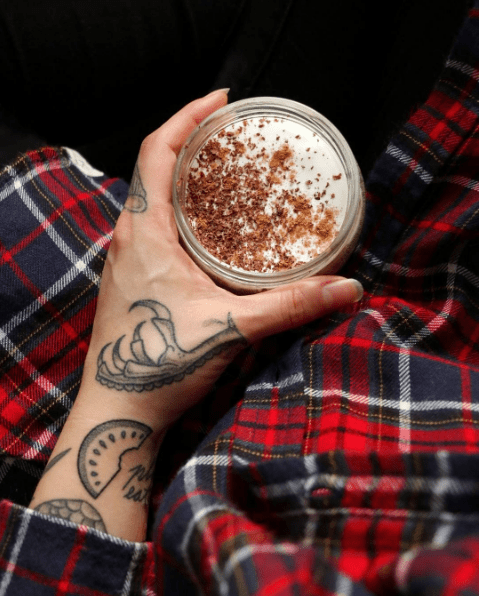 Jenny shares the best hot chocolate spot in Manchester, with several delicious, all-vegan flavours. 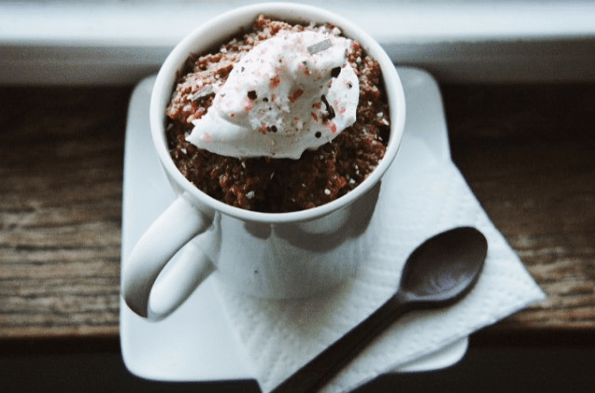 And another twist on hot cocoa: this chocolate mug cake looks perfect for lazy winter days! Don’t worry, Emily’s given you the full recipe if you want to recreate it over the holidays. We’ve had cupcakes and mug cakes, now it’s time for cookies! 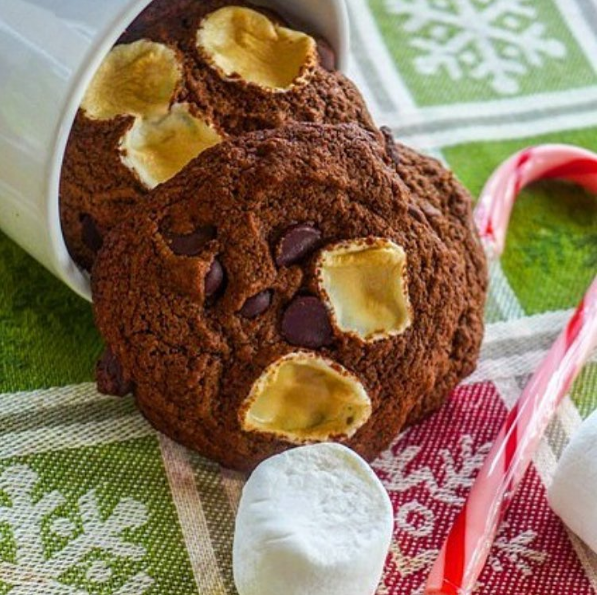 Jess has reposted these hot cocoa cookies from last year, and it’s easy to imagine they’ll become a classic recipe. 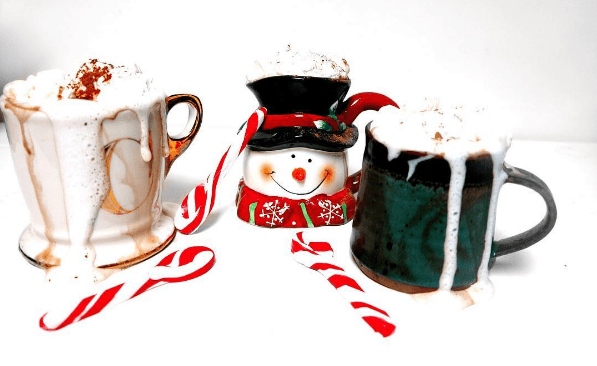 Sara’s special twist on hot cocoa is…dates! 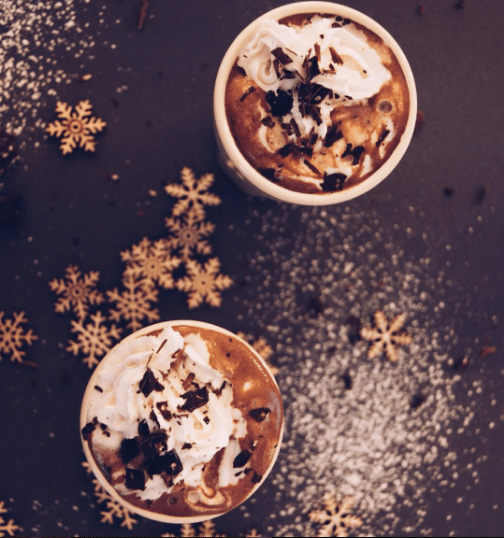 Yep, these festive drinks are sweetened with dates and topped with whipped cream. 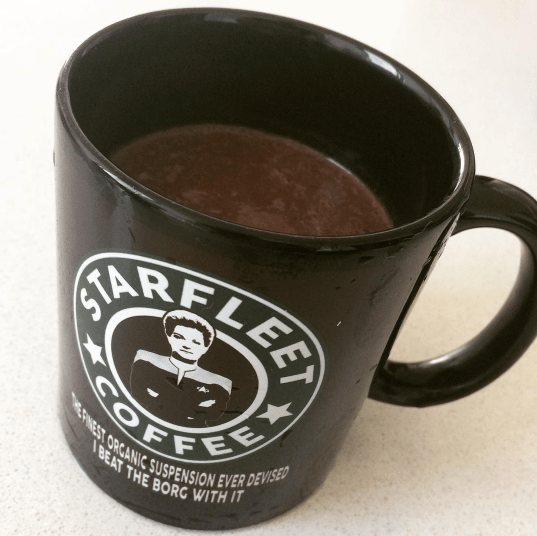 This may look like another wintry hot chocolate, but Renee is another southern hemisphere mofo’er, so what she’s actually whipped up is a cool chocolate cherry breakfast smoothie! Sneaking in just before the deadline, Jen has treated us to this matcha white hot chocolate. That sounds like something we have to try! 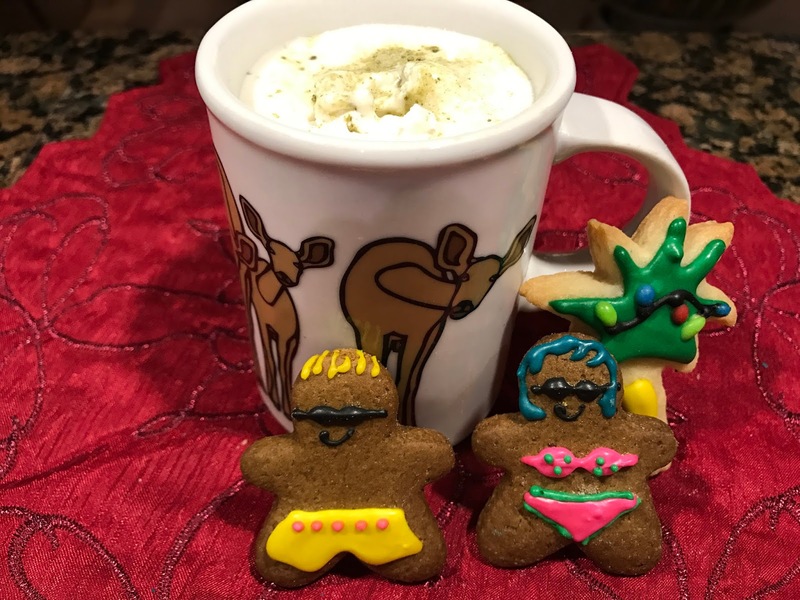 We love those holiday cookies too! Thank you to everyone who participated. We hope you’ve enjoyed the hot cocoa posts as much as we have at Vegan MoFo HQ. Check back in with us at New Year for an announcement about our plans for 2017, including more MiniMoFo Challenges, the month of VeganMoFo 2017, and the winner of the cookbook.